An American YouTube star says he does not expect to be forgiven after he posted a video which showed the body of an apparent suicide victim in Japan. 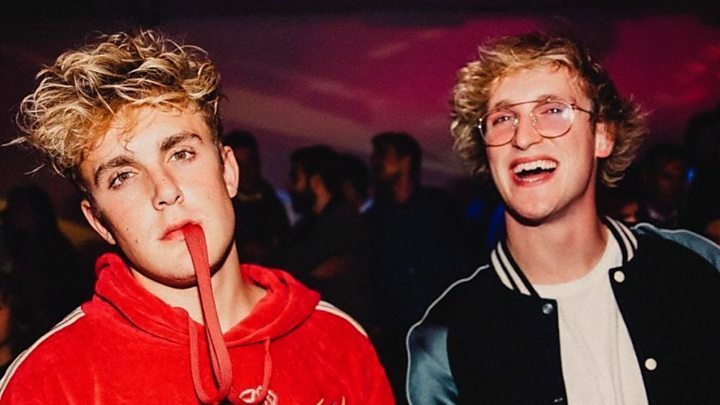 The video showed Logan Paul and friends discovering the body in the Aokigahara forest at the base of Mount Fuji, known to be a frequent site of suicides. It prompted a barrage of criticism online with some comments calling it "disrespectful" and "disgusting". Paul took down the video and later apologised saying he was "misguided". "I have made a severe and continuous lapse in my judgement, and I don't expect to be forgiven," he said in a video apology posted to Twitter. "I should have never posted the video. I should have put the cameras down and stopped recording what we were going through. There's a lot of things I should have done differently, but I didn't", he said. Logan Paul, a huge internet personality, has more than 15 million subscribers on the website and a loyal fanbase of mainly tweens and teenagers. Japan has one of the highest rates of suicide in the developed world and Aokigahara has a particularly tragic reputation as a destination for people wanting to take their own lives. They go on a visit to the forest intending to focus on the "haunted" aspect of it, he says in the video. After walking a short distance into the forest, the group come across a body. Paul is visibly shocked by the discovery but also makes jokes. A member of the group is heard off camera saying he "doesn't feel good". Paul then asks him: "What, you never stand next to a dead guy?" He then laughs. Online comments have widely accused Paul of acting inappropriately and being disrespectful. A petition calling for his entire channel to be removed from YouTube has more than 45,000 signatures. In Japan, the reaction has been similar with many saying they are disgusted and appalled by the stupidity of his actions. Although some have pointed out that Japanese media have in the past sent camera crews and TV personalities to supposedly "haunted" locations. One Twitter user said it was more important to talk about the high rates of suicide in Japan. "Even if we try to sweep it under the rug, it doesn't change the fact that Japan is a nation prominent for suicides where 20,000 to 30,000 people commit suicide every year," wrote Namaikinanamako. Others, like Twitter user Gaijin who hosts YouTube shows about Japanese cultural inspirations in video games and anime, said it "reverberate harder against foreigners in Japan than most people know". "The uphill battle just got a whole lot harder," he said in a tweet that drew support from close to 3,000 Twitter users. His tweets have stirred a Twitter debate among many Japanese users, who wrote: "Logan Paul should know I had friends that died in Aokigahara, in that forest. He is mocking me, my country, and my culture!" Some of Paul's supporters insisted he should be forgiven for what they said was a mistake, with one tweeting: "You still are the best out there and always will be" with the hashtag #Logan_you_are_forgiven. But in an apology posted on his Twitter page, Paul, of Westlake, Ohio, said: "For my fans who are defending my actions - please don't. They do not deserve to be defended." He also said he wanted to "make a positive ripple on the internet, not cause a monsoon of negativity", by raising awareness of suicide and suicide prevention. Paul says in the video that he chose not to monetise the content. YouTube pays content providers for videos based on the number of views. A spokesperson for the company said in a statement to the BBC: "Our hearts go out to the family of the person featured in the video. "YouTube prohibits violent or gory content posted in a shocking, sensational or disrespectful manner. If a video is graphic, it can only remain on the site when supported by appropriate educational or documentary information and in some cases it will be age-gated. " Is Pokemon Go helping stop suicide at hotspot in Japan?